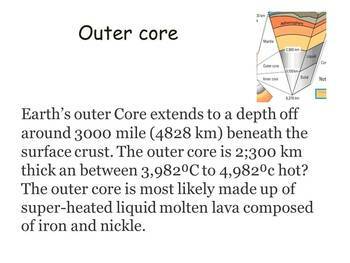 Fun way to learn about the atmosphere, Earth's layers and the ocean floor. 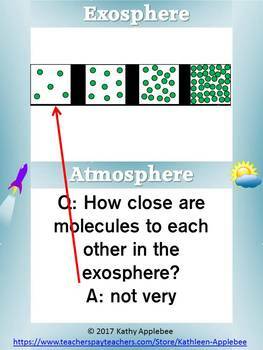 Full-color graphics make these cards appealing and optional levels of play make differentiation a snap. 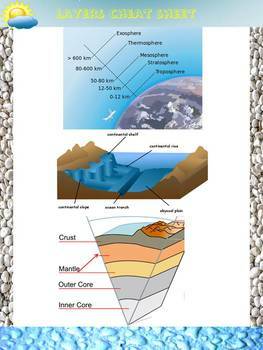 Students construct either the 14 layers of Earth, ocean floor and atmosphere or just focus one layer. Special cards engage higher level thinking skills as students strategize to win. The graphics on each card will help ESL and struggling readers. These card games provide an excellent anchor activity for students who finish early or need a challenge. 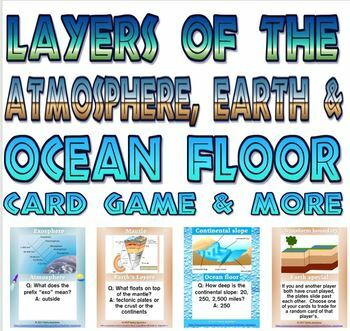 Check out the Ocean Layers freebie to get a feel for the game. Games are motivating and engage students in higher level strategy thinking and promote interaction with others while remaining focused on topic. Check out these other science card games, products and freebies.